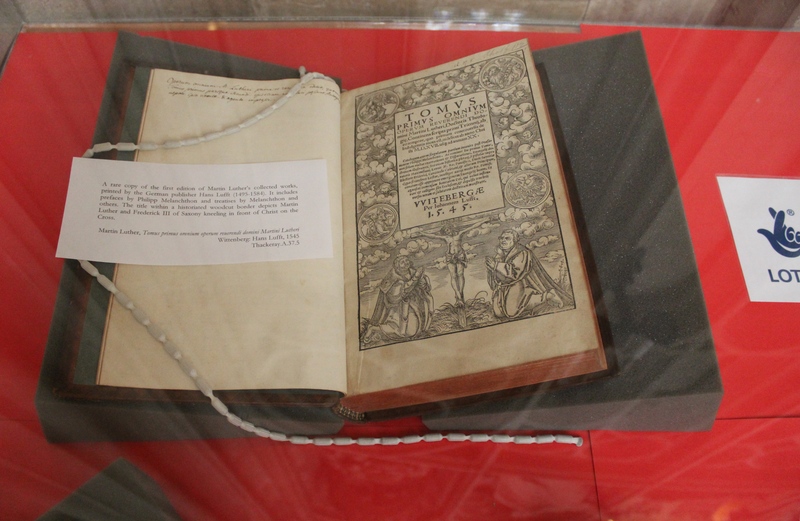 To mark the 500th anniversary of the publication of Sir Thomas More’s Utopia (1516), King’s College Library mounted an exhibition showcasing rare early editions and translations of More’s seminal text. For those who did not have the opportunity to visit the exhibition, we provide here some selected highlights. 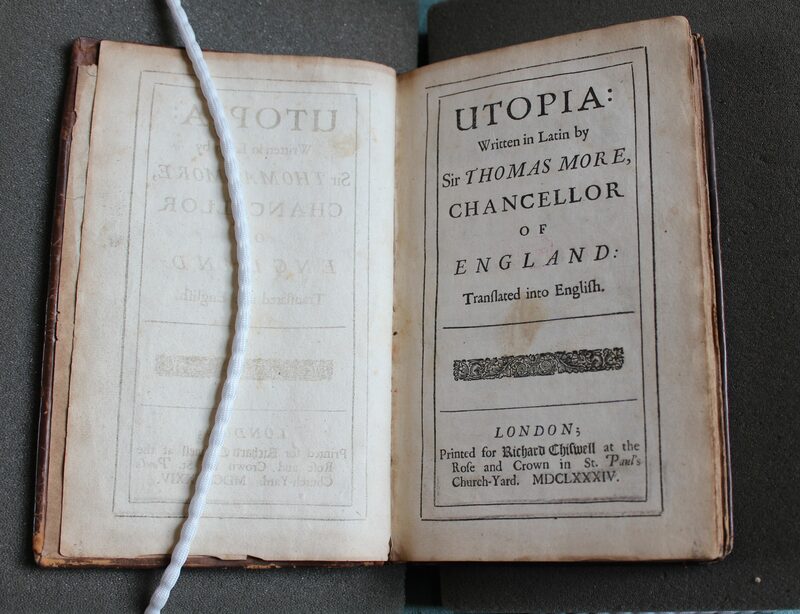 Below is a rare copy of the second of five Latin editions of Utopia that appeared during Thomas More’s lifetime. 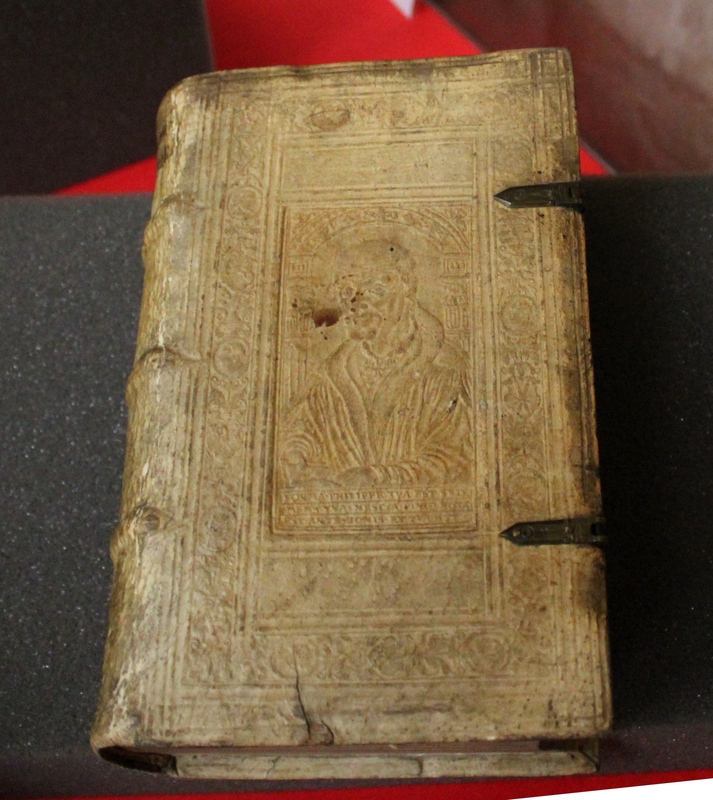 First published in Louvain in 1516, the book describes a fictional island society and its religious and social practices. More envisaged an independent community that shared a common culture and values. The title translates as: “Of a republic’s best state and of the new island Utopia”. The story is set in the New World, and references to Amerigo Vespucci and his voyages are made on leaf iii. The third edition of More’s Utopia was printed in Switzerland in March 1518. 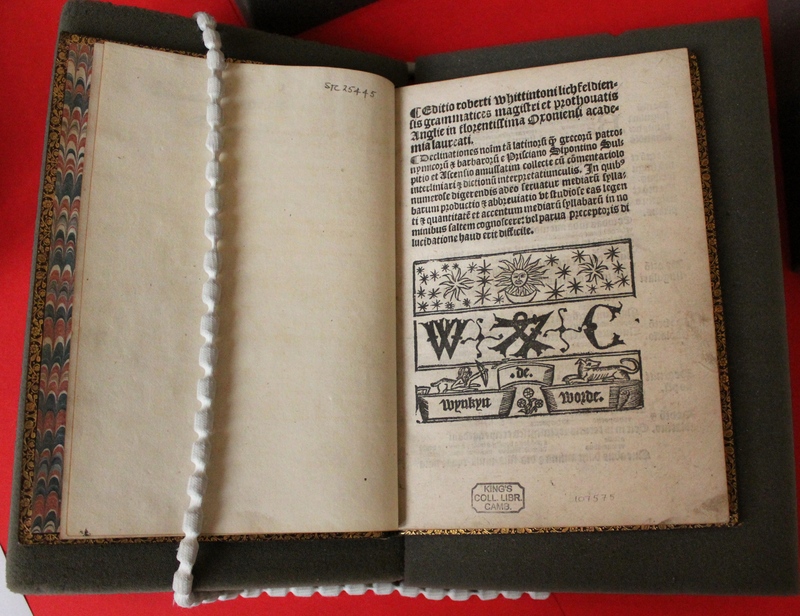 The woodcut title-page border was made by Hans Holbein the Younger (ca. 1497-1543), who went to England in 1526 looking for work with a recommendation from Erasmus. He was received into the humanist circle of Thomas More, and painted his portrait in 1527. The fourth edition of More’s Utopia was printed in Switzerland in November 1518. The woodcut on p.  is by Ambrosius Holbein, who collaborated with his brother Hans Holbein the Younger on the illustrations to this book. 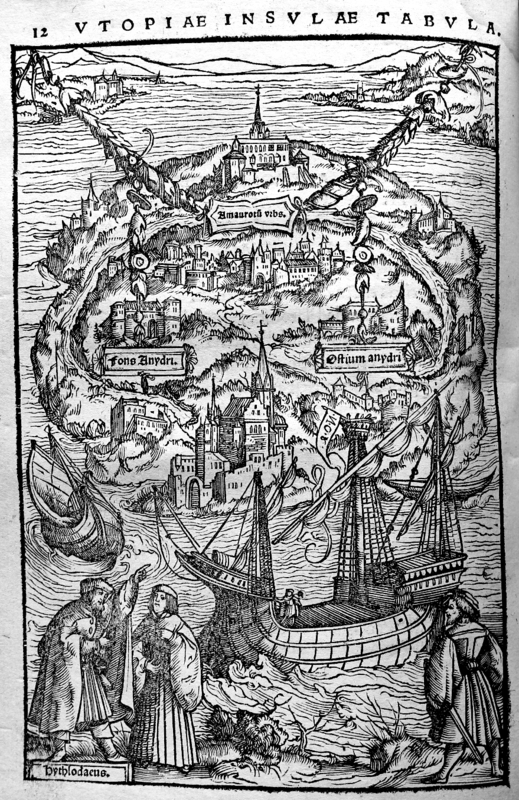 In the lower left corner, Raphael Hythlodaeus, the main character in the book, describes the island Utopia. On the opposite page is the Utopian 22-letter alphabet, featuring letters in the shape of a circle, square, and triangle. These correspond almost precisely to the 23-letter Latin alphabet. The first French edition of More’s Utopia, translated by Jean Le Blond (1502-53), was illustrated with 12 woodcuts. 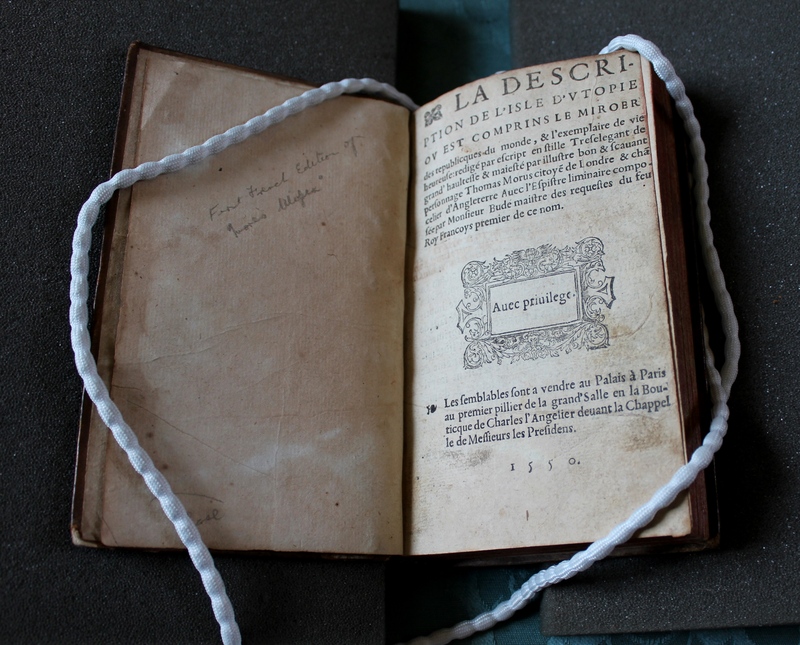 Le Blond adapted the second Latin edition (1517), itself printed in Paris and the first edition to contain a letter by the French humanist Guillaume Budé, whom Erasmus defined as the “marvel of France”. Utopia was first published in England as an English translation by Ralph Robinson in 1551, sixteen years after More’s execution. 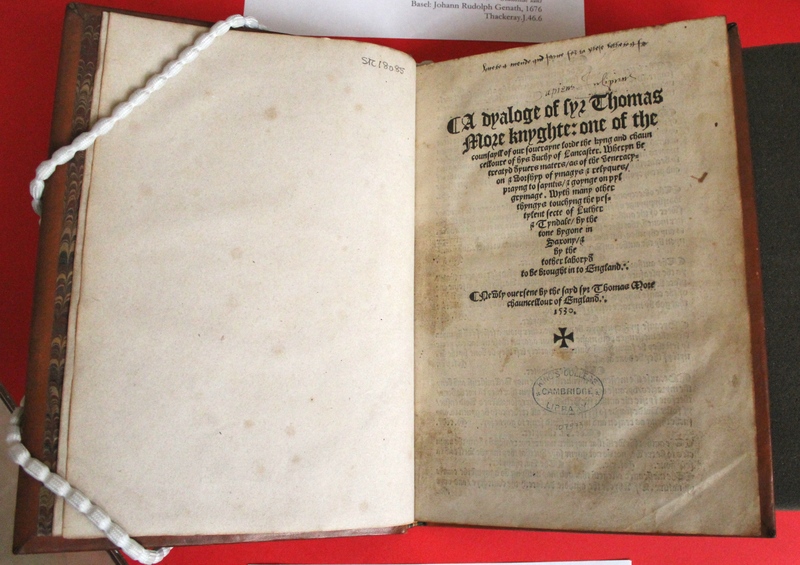 This is a rare copy of the second revised translation printed in 1556. The second major English translation of Utopia was undertaken by the Scottish philosopher and historian Gilbert Burnet (1643-1715), Bishop of Salisbury, in 1684. This is probably the most commonly quoted translation. 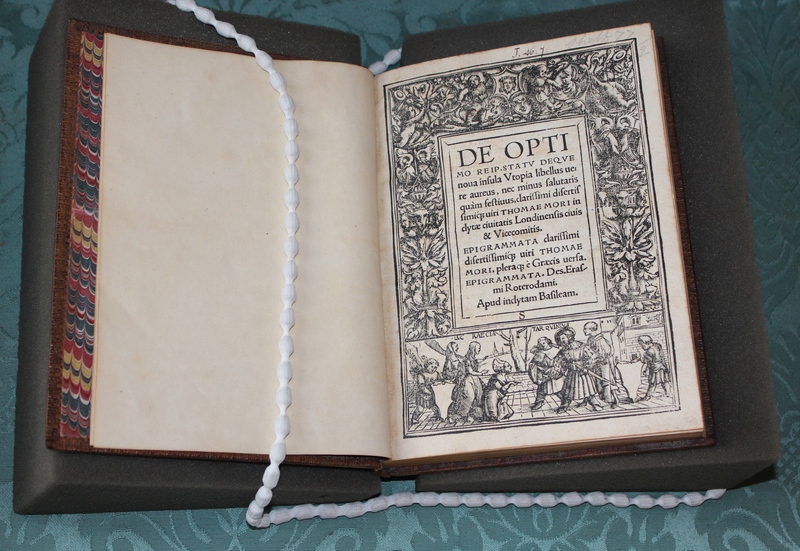 Utopia was first printed in 1516 under the editorship of Erasmus, a good friend of Thomas More. 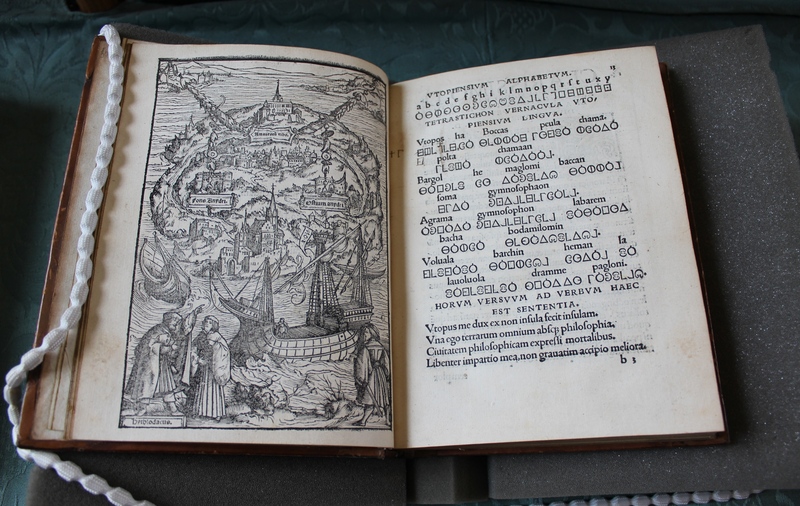 One of Erasmus’s best-known works, The Praise of Folly (1511), published under the double title Moriae encomium (Greek, Latinised) and Laus stultitiae (Latin), was dedicated to More, on whose name the title puns. This edition contains 83 etchings by Caspar Merian after drawings by Hans Holbein the Younger in the margins of a 1515 edition of the book preserved in the Basel University Library. Page 99 features a witty drawing of Folly. 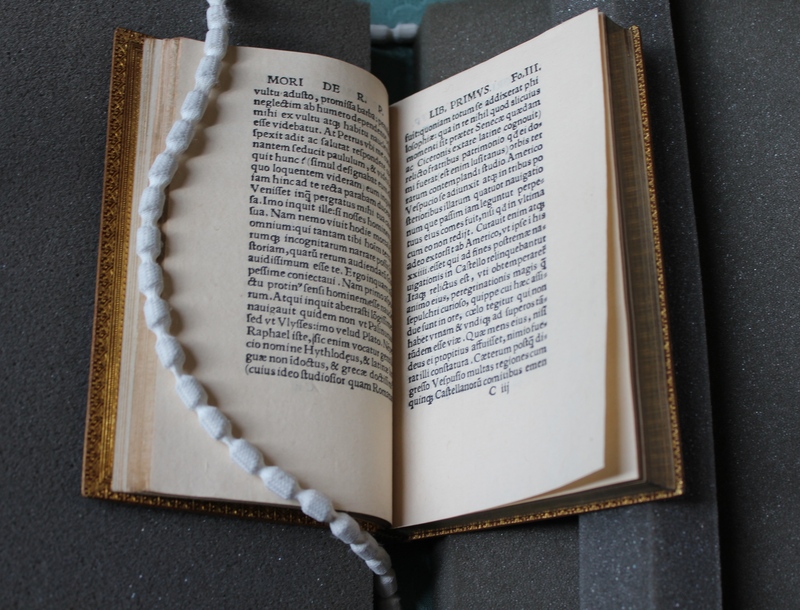 This year marks the 500th anniversary of the publication of Sir Thomas More’s seminal text Utopia (1516), and King’s College Library joins the celebrations with an exhibition showcasing rare early editions and translations of More’s Utopia, which describes life on a fictional island in the New World. If you would like to escape from the hustle and bustle of everyday life and spend some time daydreaming about a utopian future, why not pop in when you are in town. This free exhibition is open to all and can be viewed until Friday 20th January 2017 between 2pm and 5pm, Monday to Friday, in King’s College’s beautiful early nineteenth-century library. 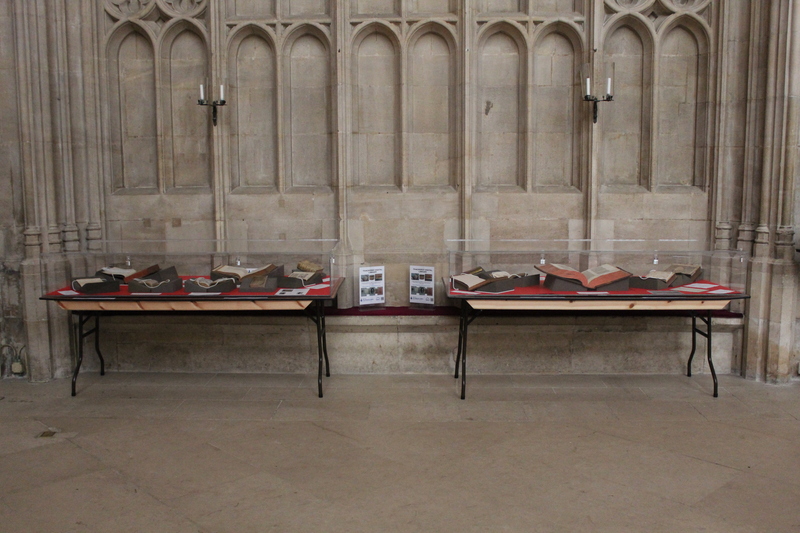 Upon arrival at the front gate of King’s College, tell the member of staff on duty (or the porters) that you are visiting King’s College Library’s Utopia exhibition. They will direct you to the College Library. When you reach the Library, simply press the buzzer on the main door and one of the Library team will let you in and welcome you to the Library. 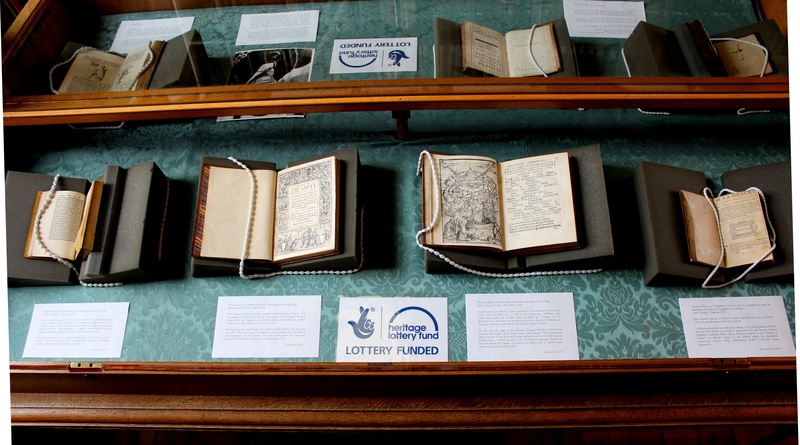 King’s Library has received £44,000 from the Heritage Lottery Fund (HLF) for an exciting project, ‘Shakespeare and Austen at King’s College: Celebrating their Centenaries in 2016 and 2017’. 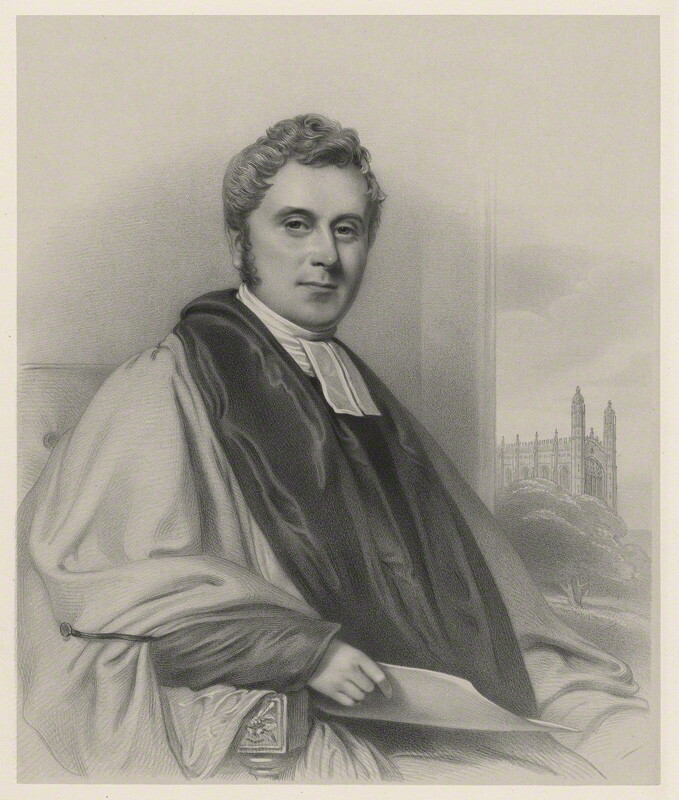 The project will result in the online cataloguing and conservation of the English literature section of the Thackeray collection of rare books, bequeathed to King’s College Library in the mid-nineteenth century by the sometime Provost of the College, George Thackeray (1777-1850), cousin of the novelist William Makepeace Thackeray (1811-1863). A major part of the project is a comprehensive programme of outreach activities and online educational material. 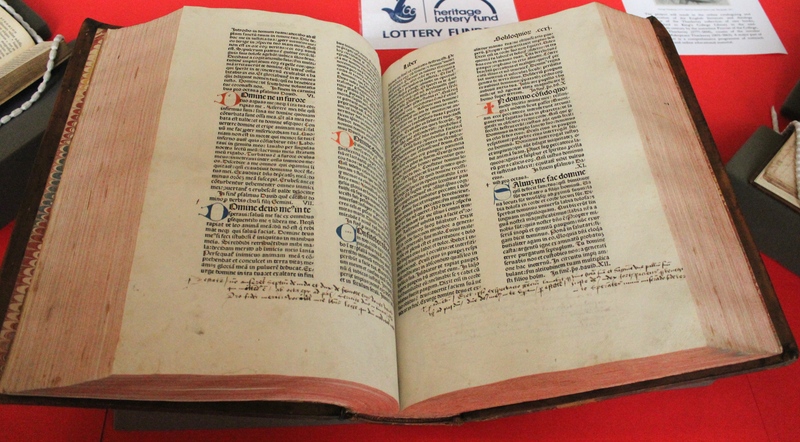 The project will enable local people and volunteers to engage with some of the most important books in the history of English literature through a series of exhibitions, talks, open days and workshops for young people, and give a worldwide audience the opportunity to learn about the collection online. Owing to the lack of a proper online catalogue, the collection has remained difficult to explore. 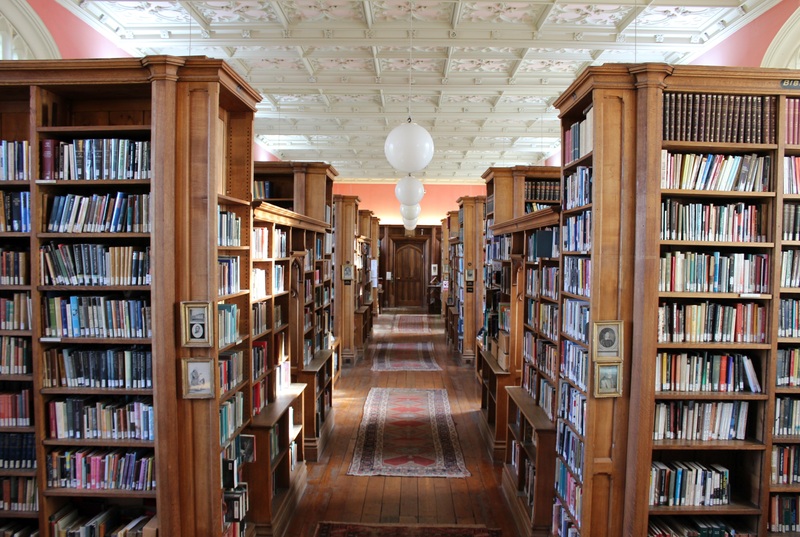 Highlights in Thackeray’s library include Shakespeare’s First Folio, first and early editions of all of Austen’s novels, a collection of 16th-century books on theology (including works by Sir Thomas More, Martin Luther and Erasmus), and over one thousand volumes of early editions of the most important English authors in sumptuous historic bindings. 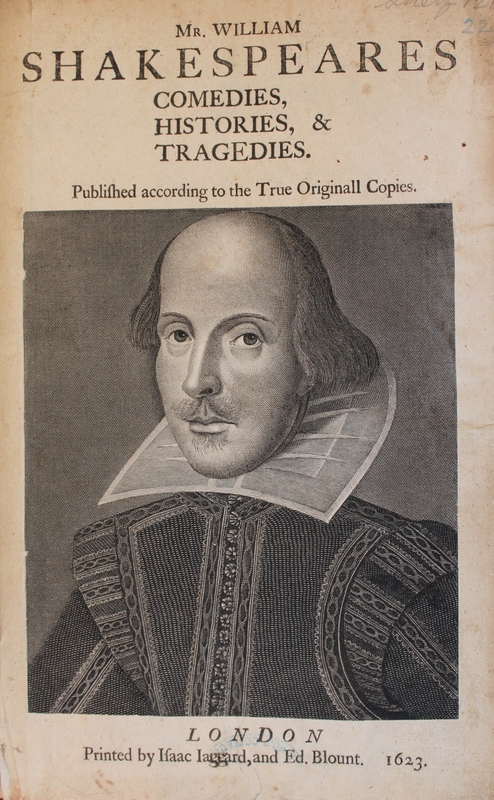 Other major writers included are John Milton, John Donne, Edmund Spenser and Ben Jonson. We are delighted to have received the support of the Heritage Lottery Fund, which will enable us to gain a much better understanding of the Thackeray collection and help us to improve access to these treasures. We are also looking forward to the many opportunities the project will afford us to allow local people to engage with their heritage (anyone interested in volunteering for the project is most welcome to get in touch), and hopefully revisit the works of Shakespeare and Austen during their anniversary years. Among the more curious items in the Keynes Bequest is a book entitled Vox Piscis; or, The Book-Fish; Contayning Three Treatises Which Were Found in the Belly of a Cod-Fish in Cambridge Market, on Midsummer Eve Last, Anno Domini 1626 (1627). The title says it all. 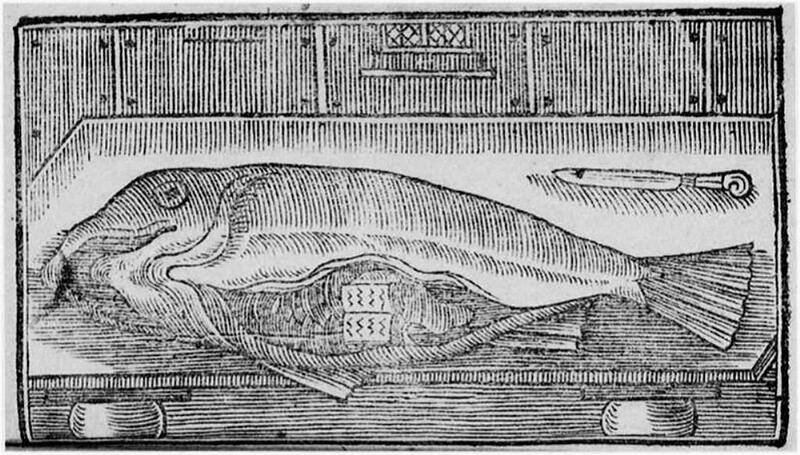 The circumstances surrounding this catch are detailed in the preface of the book, where we are told that “a codfish being brought to the fish-market of Cambridge and there cut up, … in the depth of the mawe of the fish was found wrapped in a peice of canvase, a booke in decimo sexto, containing in it three treatises bound up in one” (p. 8). 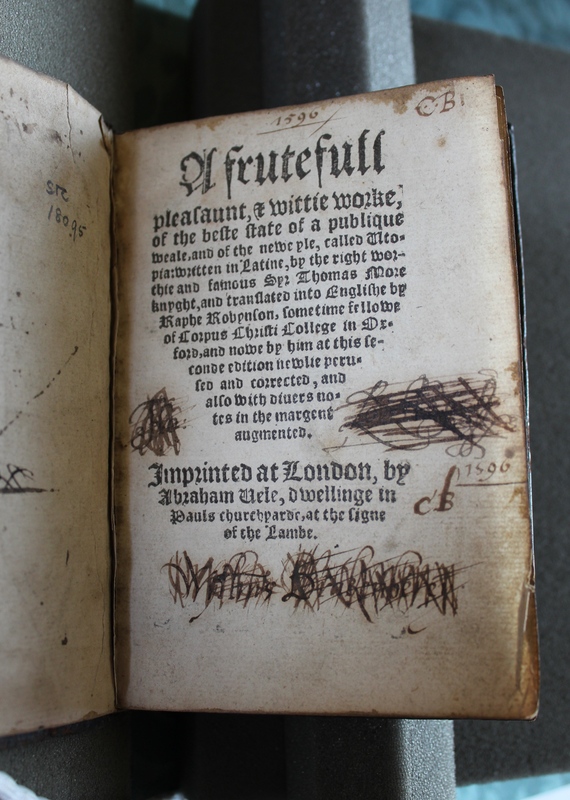 The preface was written by the clergyman Thomas Goad (1576-1638), who became a Fellow of King’s College in 1596. 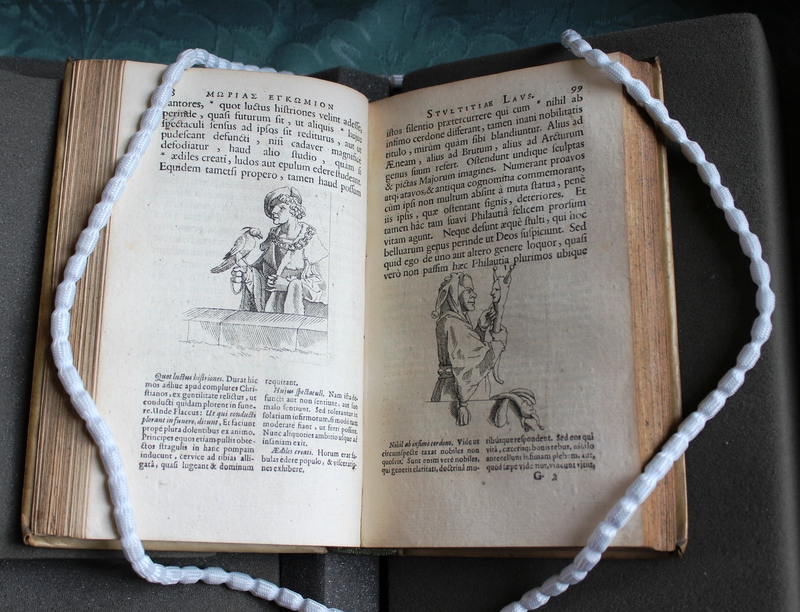 In his will, he bequeathed his land in Milton to the College, “to the intent that the whole yearlie profitt thereof bee faithfullie emploied yearlie for ever in divinitie bookes for the librarie”. Many of these books bear the inscription “Legavit Thomas Goad”. 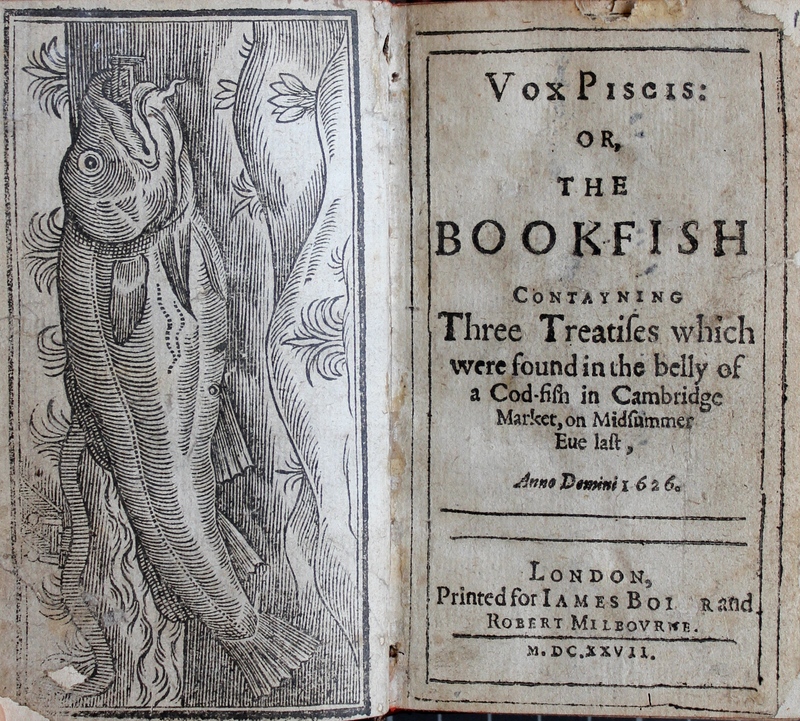 The voice of the fish: title page and frontispiece of Vox Piscis; or, The Book-Fish (Keynes.D.4.15). It is unclear how the book ended up in the fish’s stomach. 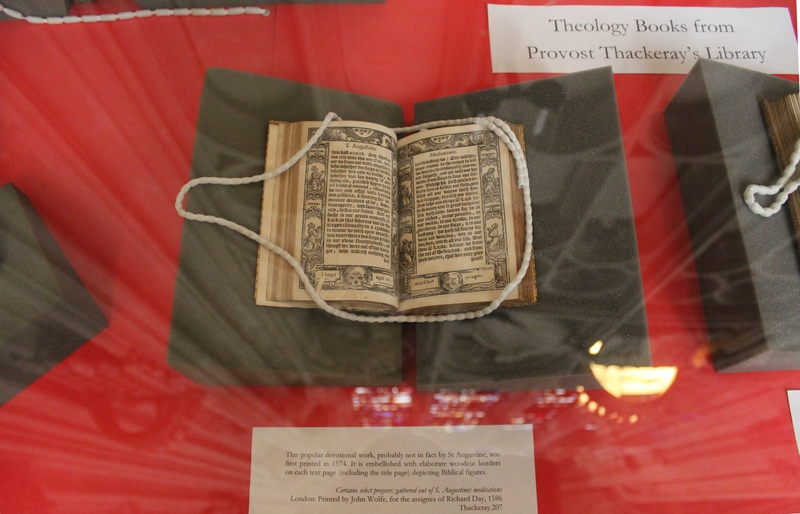 Joseph Mede (1586-1639), theologian and Fellow of Christ’s College, helped clean the bundle and decipher the content of the treatises. They were attributed to John Frith (1503-33), the Protestant reformer who was imprisoned in Oxford in a “darke cave, where salt-fish was then kept” (p. 19) and burned at the stake in London on 4 July 1533. Frith received his B.A. degree from King’s, so the book bears a close connection with the College. Incidentally, his tutor at Cambridge, Stephen Gardiner, later played a role in condemning him to death. That’s Cambridge supervisions for you. 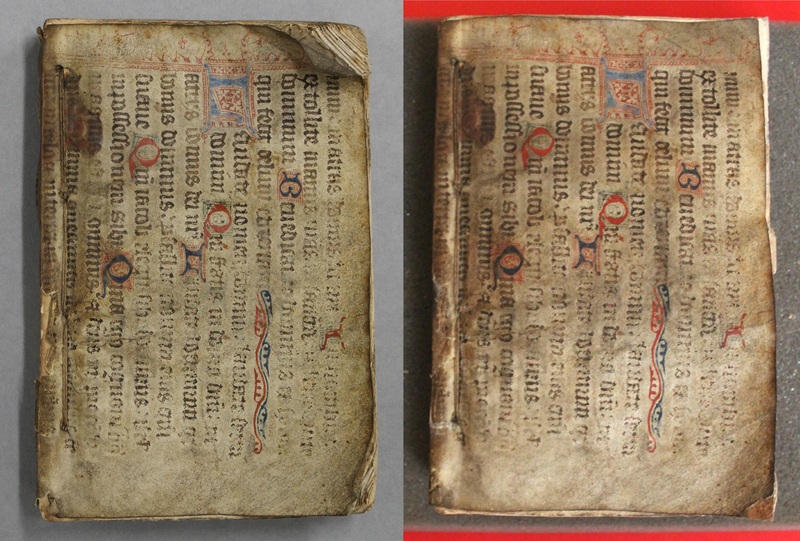 The Keynes Bequest has two other copies of Frith’s works: A Pistle to the Christen Reader (Antwerp, 1529) and A Boke Made by Iohn Fryth, Prysoner in the Tower of London (Antwerp, 1548), a reply to Sir Thomas More. The second plate of Vox Piscis, wanting in King’s College copy; this is from the copy in the Cambridge University Library. If you think this already sounds like something out of Pinocchio, there is more to come. Inside the book is preserved a newspaper cutting with the date “Feb 10 1912” pencilled in by a former owner. 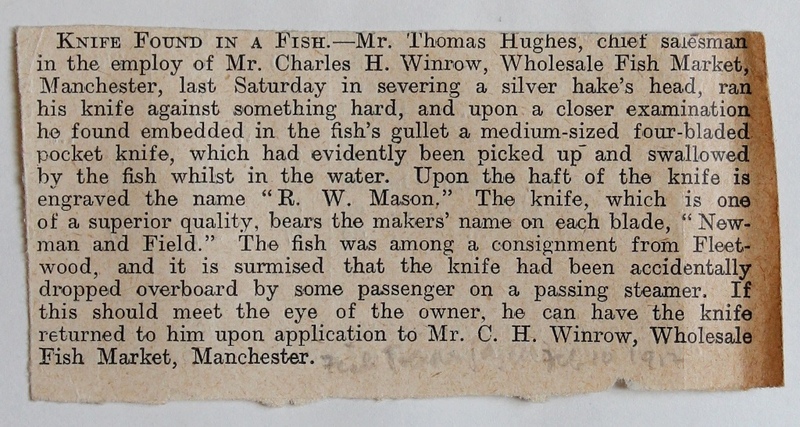 The short article recounts how a pocket knife was found inside a silver hake by Thomas Hughes, a salesman at the Wholesale Fish Market in Manchester. It then describes the knife, “one of a superior quality” bearing the makers’ name on each blade, “Newman and Field”, before inviting the owner to come forward and have it returned to them. “Knife found in a fish”: newspaper cutting preserved inside the book. Carrying such items is now probably illegal following the introduction of the Offensive Weapons Act in 1996, but if a knife that matches this description has been missing from your kitchen for the last century, now may be a good time to claim it back.